Two innovative thinkers at the Hospital Association of Southern California were responsible for dreaming up National Health Foundation, 44 years ago, as a way to extend the impact the association could have on improving healthcare. Since then, NHF has been working closely with stakeholders on a variety of health issues. However, just as the field of public health has evolved over the years, so has National Health Foundation. Today our approach is more at the community level, while retaining that connection to hospitals. Working so closely with community members has given National Health Foundation insight into health experiences and disparities, and their very root causes. This insight has lead National Health Foundation to where it is today, with a new mission and vision that focus on remedying health inequities by taking action on the social determinants of health. Never before has National Health Foundation been more entrenched in the communities it seeks to serve. And one would argue because of that, never before has National Health Foundation had such clear, direct impact on the health of Southern Californians. National Health Foundation works within communities to identify and advance solutions that remove barriers and promote health for all who live there. Research has demonstrated that one of the clearest determinants of health –and health disparities– is where people live. A person’s physical environment, employment opportunities, community safety, and access healthcare providers, (and more) all impact health and are local in nature. The largest health disparities emerge in neighborhoods experiencing poverty and in communities of color. These social determinants can help or hinder a person’s ability to make healthy decisions. People are not homeless; they experience homelessness. 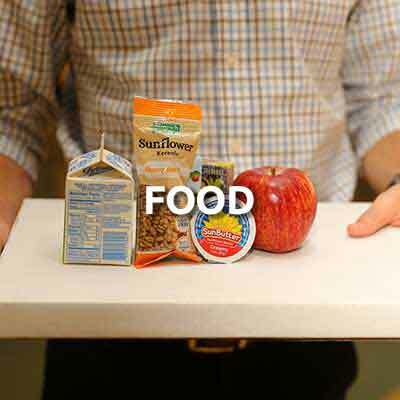 People suffering from diabetes may understand what they should be eating, but it does not matter if they cannot purchase fresh produce in their own neighborhood. Physical fitness might be a top priority for everyone, but crime and unlit parks might prevent that from happening. Health starts where people live, learn, work and play. National Health Foundation is committed to addressing the root causes of health disparities by working hand in hand with communities. We empower teens and adults to advocate for their health and identify needed changes in their neighborhoods. Then we help develop and support the community’s vision of health by cultivating partnerships to deliver programs and services that are empathetic and inclusive. We observe, measure and learn, and repeat as needed. Because health begins long before that visit to the doctor. It begins where we live, learn, work and play. On any given night, there are 46,000 Angelenos without a home. Of those, more than 29,000 have severe health issues requiring some level of care. 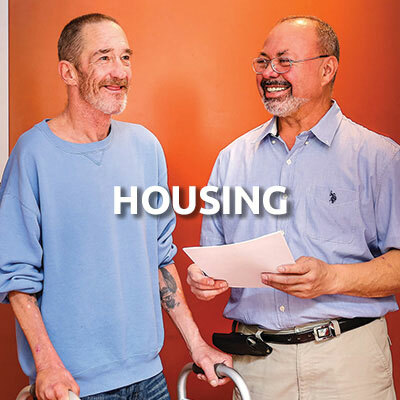 Without a home, these individuals experience insurmountable barriers to health and healing. In the 6 square miles that make up Historic South Central Los Angeles, there are no gyms and there is only 0.4 acres of park space for the 103,000 people who call the area home. Liquor stores outnumber grocery stores and there are no farmer’s markets. Without opportunities for safe outdoor play and places to purchase fresh fruits and vegetables, this community will continue to experience higher than average rates of obesity, diabetes and cardiovascular disease. High school can be a trying time, but for students who are pregnant, parenting, or at risk of becoming pregnant, the challenges are far greater. The impact of pregnancy on health is compounded in communities where poverty and a lack of maternal care are common. If National Health Foundation accomplished its mission, everyone in Southern California would have the opportunity to experience health and would live in a community that supports a healthy lifestyle. That would include a home for every person, access to fresh, healthy foods, opportunities for safe, outdoor physical fitness, and so much more. We have already seen communities take great strides in tackling their negative social determinants, but really, we have only scratched the surface of these issues. Together we can address the social, physical and environmental barriers to better health. Together we can uncover the reasons these barriers are perpetuated in low-income communities and communities of color. And together we can work, hand-in-hand, to solve these problems and improve health for ourselves and for our neighbors. National Health Foundation is addressing the social determinants of health using a number of research-proven strategies. 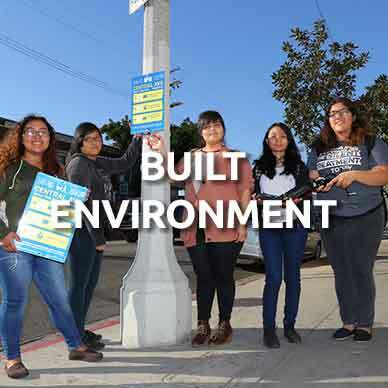 We are targeting Food Access, with an emphasis on increasing the availability of health and fresh foods in under-resourced communities, Housing, with a focus on providing shelter and care for individuals who have been released from the hospital, the Built Environment, prioritizing the removal of the barriers to health in the Historic South Los Angeles community, and Education, with a focus on risk prevention and support for pregnant and parenting teens to complete their education.